I want to share with you my interesting interview with Dan Bellity, who is the CEO of DB System and the designer of the incredible machines produced by La Rosita. It was an opportunity to discuss his background, his work, the birth of the La Rosita brand, and his unique approach to the relationship between technology and music. So, your experience with the high fidelity world started in the 1980s, when you were working as a retailer and distributor of hifi products? Absolutely. 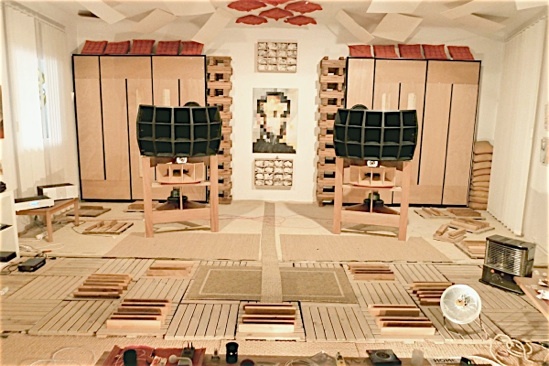 In 1983, I opened a hifi store in Nice, which was called Audio Feeling, and then later some associates and I founded Audio Quartet, a company that imported high-quality brands, primarily Wadia, Martin Logan, and Jadis, to France. The company successfully weathered the economic crisis taking place during those years, and, in 1996, Meridian asked me if I would be their official sales representative in France. In 2000, I decide to pursue further training in and expand my knowledge of the technical aspects of the field; I attended the Conservatoire National des Arts et Métiers (CNAM) and specialized in network engineering. It would seem that this training period prompted you to think about the challenges associated with high fidelity networks? I started learning about low frequency systems when I was young. After I acquired complementary training at CNAM, I opened a workshop, created my company, DB System, and offered maintenance and repair services. At that point in time, I also started exploring network-related issues. My work has been enriched by my experience in sales and my high degree of familiarity with the products that are currently on the market. Rather rapidly, you became particularly interested in the Mac operating system and iTunes. Why? I got interested in them in the early 2000s. Clearly, the only on-demand music service that existed at the time was iTunes. Like many other users, I noticed that the Mac OS was particularly well suited to managing music. Furthermore, Apple’s integrated sound cards are of good quality and do an excellent job of handling the data exchange and communication that take place between the Mac OS and iTunes. At the time, like many other music lovers, I was accessing iTunes using the AirPort Express (Apple’s proprietary wifi base station). I just wanted to understand how it worked and how to improve it. As a result, the Zardoz was born in 2005. It had a price tag of 750 € and sold fairly well. More than 3000 units were sold online, thanks in part to internet forums. Zardoz was no more and no less than a greatly improved version of the AirPort Express. So, the La Rosita brand was born from this first success? At first, the idea was not to develop a line of products, but rather to improve a system that was already being used by many people. However, buoyed by Zardoz’s success, I wanted to pursue further projects, and my son started helping develop the business. 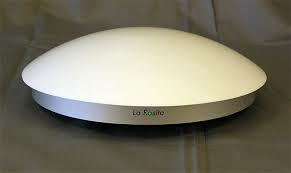 In 2007, La Rosita released its first product: the Alpha. The Alpha rapidly achieved an extraordinary amount of success, although its striking design — it looks like a flying saucer — does not appeal to everyone; potential customers in certain countries, like Germany, remain particularly unconvinced. How did your streamer differ from others already on the market in 2007? I would simply say that the listening experience is different, because I am first and foremost a music lover who listens to a lot of music. Furthermore, at the time, we were addressing certain engineering issues in depth and in a rather unique way, I think. In particular, we were trying to understand the key factors that affect musicality, factors beyond simple performance. It is a mistake to view file formatting in a simplistic way. 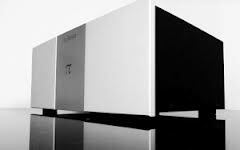 All digital files must be converted using a “time” reference, which, in our eyes, was the greatest weakness of many of the DACs on the market. Without revealing the results of your research, can you explain how you got your work to yield fruit? It was simply a matter of picking the brains of friends and, in particular, CNRS researchers in the cognitive sciences. When you listen to music, there are a multitude of external factors that are constantly changing, and your brain is in the habit of managing the input. These factors include the room temperature, the relative humidity, or people moving around you … Many electrical components perform real-time corrections of numerous parameters, and we suspect that our brains react badly to this. It bothers us, and we respond by first lowering the volume, then skipping around betweens tracks, and next looking for music that will calm us down. Ultimately, we end up shutting off the sound system. Would you go as far as saying that the sort of auditory fatigue that we feel after listening to certain digital sound systems could be due to this phenomenon? Yes, absolutely. This explanation could help us understand why analog music, in spite of all of its defects and its lower definition relative to digital music, is often called “relaxing.” It is interesting to note that, for example, many of our clients are great music lovers, and they have never stopped listening to their vinyl records. Some have warmed to the idea of listening to digital music. According to them, our products provide an “acceptable” way to ease into it. To us, this demonstrates that we have successfully dealt with some of the important issues involved in the digital conversion process and how the signal is treated. These days the number of products offered by La Rosita has grown. However, do you still prefer iTunes over Qobuz, for example? All of our machines are completely compatible with Qobuz. Moreover, I am a faithful Qobuz customer. In fact, I download all of my music from them in AIFF 16/44 format. However, at present, I think that storing data on local hard drives results in more stable exchanges between streaming networks, which is crucial to obtaining the best quality of music possible. 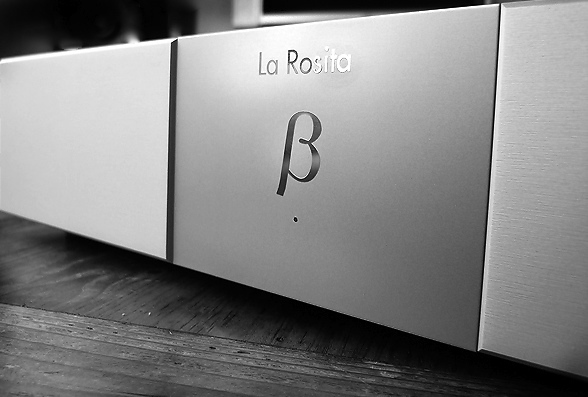 Our “La Rosita” plug-in allows us to offer simple and perfectly optimized solutions that allow iTunes to function optimally. What do you think about the Studio Masters file format? To be perfectly honest, I am not at all convinced by Studio Masters files, whether offered by Qobuz or by other sites. To me, it is useless to exceed CD quality because you end up with files that are completely oversized and whose dynamic range does not correspond to the capacities of the computers used by the general public, as good as they are. Furthermore, the fact is that recording at 24 bits/96 kHz is a tool used by sound engineers and, when these files are produced, their increased definition, which served a purpose during the recording process, is not accessible in the files available to the general public. Some people have adopted the approach of oversampling before the conversion process so as to facilitate the design of the anti-aliasing filter. Unfortunately, although this technique helps activate the small 96-kHz diodes, it generates quantization noise, which we think is audible and harms musicality. Many companies have now retreated from this approach. One of La Rosita’s innovations is a proprietary clock system that you are integrating into a whole line of projects. However, do you have other research directions in mind for the future? The next generation of semi-conductors will soon arrive on the market, and they will allow us to considerably increase network speeds. This will mainly greatly improve wifi connection quality, but it will also contribute to the better playback of files streamed by online music providers. To finish up, I would like to say that, although current technology allows us to build incredible machines, we should never forget the end user, his real needs, and, most of all, his enjoyment. In this constant race towards new technologies, we must remember that the human experience is the guiding principle for our projects. The pleasure derived from listening to music should remain the final goal. That has always been the driving force behind my work. La Rosita is one of DB System’s brands. The company is located in the town of Grasse, in southern France. Its streamers start at 950 € (the Die Loreley model). I am rather impatient to build a first rate sound system geared to dematerialized music by hooking up this starter streamer model to a good quality amplifier and some reliable speakers. This entry was posted on 27/09/2013 by Aublanc in Accessories, Interviews, Sources and tagged affordable amp, affordable audio, affordable speakers, affordable stereo, analogical music, apple, audio france, audio frence, dan bellity, db system, digital music, european audio, european hifi, focal, hifi france, itunes, jb audio, La rosita, la rosita alpha, la rosita beta, la rosita die lorelei, la rosita pi, stereo france, stereo systems, streamer, studio master.